We Do ANY Plumbing Service You Can Think Of! Call Us 24 Hours/7 Days (Evenings Too)! 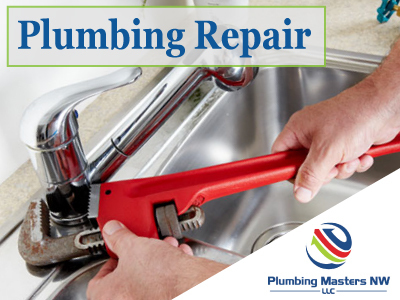 Call for Leaky Pipes, Faucets, Water Heaters, Drain Clogs, Sewers Backing-Up, & More. You cannot know when a plumbing problem will happen, but it sure would be good to know WHICH COMPANY you can call upon when water leaks, clogs, or other malfunctions occur. Many people may not have a Marysville Plumber they trust, but we are Plumbing Experts NW, and we're ready to show you our type of affordable plumbing Marysville WA customers can really rely upon and recommend! Call on Plumbing Experts NW DAY OR NIGHT! We answer our phone and we come out quickly when many plumbing service companies will not. We will handle your problems whether they are large or small with the same honest and professional approach. Our office staff pros and our plumbing technicians are some of the most helpful you'll find. We're more than prepared to get you past all of the drain clogs, sewer backups, pipe leaks, and all other plumbing breakdowns. We'll give clear options for you to solve your situation after we perform a complete diagnostic. That's how we've become one of the most trusted and affordable plumbers Marysville WA has to offer. You want an affordable and reasonable plumber, but you really don't want a "cheap plumber"---there's a big difference, we hope to show you. We do right by our plumbing customers---you'll see it in our awesome reviews. Test our service for yourself by sending us a completed contact form (below), OR by calling Plumbing Experts NW today at 425-948-7705. We cannot wait to be the plumbers you call and to show you exactly why are known as the plumber Marysville can depend on to handle expert diagnosis, complete service, and affordable plumbing fixes every time. Reviews of the Reasonable Plumber Marysville WA Recommends! Any Marysville plumbing problem is handled with ONE CALL to Plumbing Experts NW. Get expert affordable care. Our Marysville WA Plumbers locate water leaks and we fix them fast. Don't wait another second to get expert help. Our sewer video camera inspections make sure you know the truth about your sewer line issues, eliminating unnecessary repairs. Hot water problems? Maybe it's your water heater, and we can definitely help. Ask us about tankless water heaters. Plumbing Experts NW clears out ANY clogged drain. Keep your home safe and get flowing again. We can clear sewer lines, and handle expert sewer repair in Marysville. We do it all, big or small.